The potential negative effects of e-waste are often overlooked and this is particularly alarming due to its current growth rate. 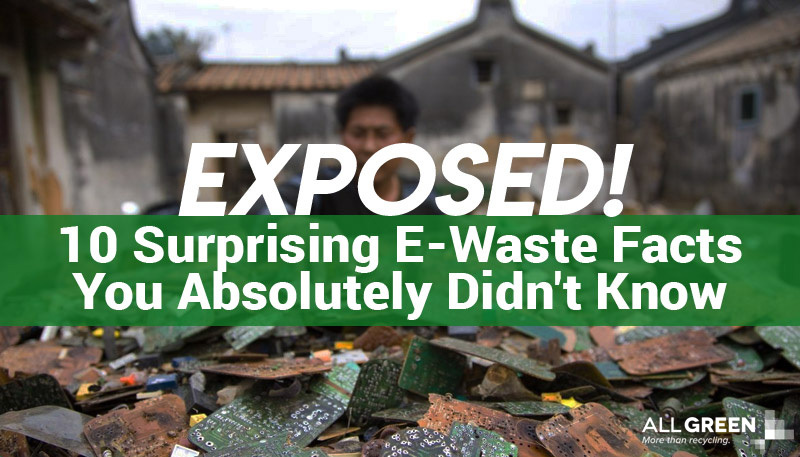 These surprising e-waste facts give the situation a new and shocking perspective. E-Waste is one of the fastest growing types of waste, both in the United States and globally. The current electronics recycling efforts by the ITAD industry are simply no match for the swarm of devices disposed every year. This is mostly due to the fact that there are up to 1 billion mobile phones and 300 million personal computers produced every year, globally. This figure is also estimated to increase by nearly 8 percent in 2020. One way to deal with this issue is by educating the public on such e-waste facts and sensitizing them towards IT Asset Disposition practices. The following interesting facts about e-waste will show you just how alarming the situation is. While other countries also produce large amounts of electronic waste, the U.S tops the list with a production rate of 3 million tons annually. Each year, Americans dispose of more than 9 million tons of electronics. Although the U.S currently tops the list, production rate in countries like India could increase by up to 500% in 10 years. While no one hears the term ‘E-waste’ and considers it harmless, it poses a grossly understated danger. It forms about 70% of all toxic waste produced annually in the U.S and is a leading cause of death in several developing countries within Asia, Africa and Europe. Perhaps the most shocking of all e waste facts: over 200 million people in the world are currently at risk of developing health problems due to this type of waste according to the BBC. If you thought the last fact was shocking, then picture this: there are over 7.2 billion cellphones in the world. This is a little over the world population which was about 7.14 billion in 2014 and takes all active sim cards into existence. This fact is especially worrisome because users may eventually dispose of these mobile phones, manufacturers create others . Unfortunately, there isn’t enough global infrastructure to handle the disposal process properly so the waste may end up in landfills and developing countries. Apart from the fact that recycling electronic waste lessens its negative environmental impact, it also saves a lot of energy. According to the EPA, recycling 500,000 laptops will generate the equivalent of energy needed to power almost 2000 standard US homes. If people recycle all retired mobile phones, the energy generated can power more than 20,000 homes. In addition to generating such large amounts of energy, recycling provides aluminium which saves part of the energy needed to mine new aluminium. One of the most interesting e waste facts, lies in its perceived value. 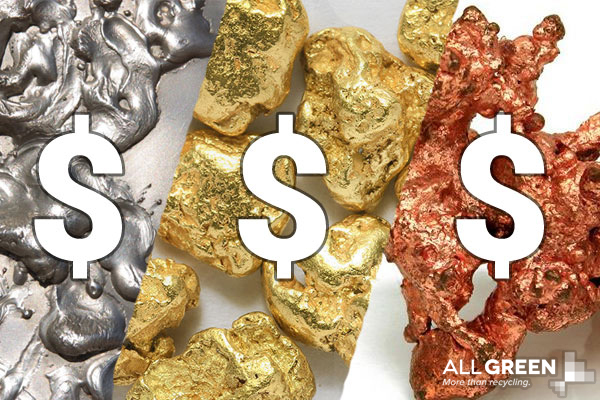 Based on current disposal rates, mobile phones thrown away annually in the U.S contain gold, silver and other precious metals worth an estimated $60 million. According to the EPA, there up to 75 pounds of gold, 772 pounds of silver, 35,274 pounds of copper and 33 pounds of palladium in every 1 million phones disposed. Components like circuit boards are also valuable when recycled. In fact, just one ton of circuit boards contains 50-800 times more gold than an equivalent amount of ore. Approximately 350,000 mobile phones are disposed of each day, according the EPA. This puts the number of mobile phones discarded annually at more than 152 million phones. However, according to one of the earlier discussed e-waste facts, there are more phones on earth than people and the rate of production makes up for the rate of disposal. Electronic devices are made with many harmful chemicals, especially high amounts of lead, a potent neurotoxin. Some examples are cathode ray tubes and old television sets which are made of 4 to 8 pounds of lead. Apart from the environmental harm caused by lead, some electronics burn harmful substances like fossil fuels during production. For example, according to the Electronics TakeBack Coalition, it takes up to 530 pounds of fossil fuel to manufacture a single computer and monitor. The United Nations places the annual rate of e-waste disposal anywhere between 20 to 50 million metric tons. This figure continues to grow at an alarming rate. In fact, the UN once estimated that it would see a 33% increase between 2013 and 2017. Several major retailers accept electronic waste for recycling, even if you didn’t purchase the device from them originally. Some examples of such retailers are Verizon and Best Buy. However, one major drawback with this is that popular electronic devices like computers contain hard drives which in turn may contain sensitive data that must be wiped. The growth rate of electronic waste is particularly alarming due to the fact that it makes its way into landfills and incinerators. As the above electronic recycling facts show, this method of disposal pollutes the environment with harmful substances, causing illness, loss of money and several other negative effects. Dispose electronics without negatively impacting the environment. Securely wipe the data on old hard drives before destroying them. Refurbish and Repurpose old electronics like computers. Remarket assets like computers to recover investment costs. We have drop-off sites in every state and pick-up can be arranged for the convenience of our clients. Contact us to take the first step towards saving the environment by taking advantage of our efficient and affordable recycling package. Have you recently encountered issues with electronics recycling? Leave a comment below and we will respond. Don’t forget to share this with anyone who would like to learn about e-waste recycling.